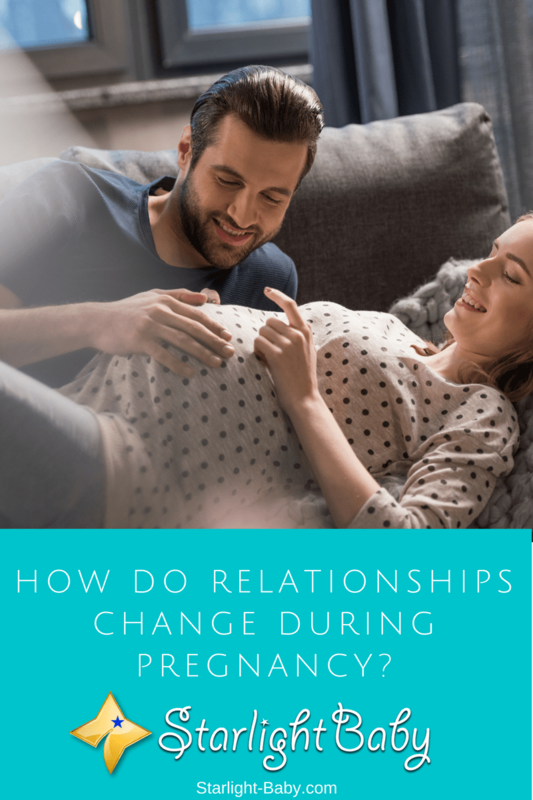 How Do Relationships Change During Pregnancy? You’ve been with your partner for quite a period of time — movie dates, outdoor activities, dining out, beach parties, island vacation trips, bar hopping, etc., then all of a sudden, here comes “the bump”. Oops! Your world may turn upside down. Your once free-spirited and spontaneous attitude will eventually have its restrictions. Well, of course! You’ll have to give birth to another human being and start your own family. By the time you see those two red lines on the plastic kit, your relationship with your partner will have to move on to an all-new level as well. Pregnancy is accompanied by a lot of physical changes and emotional demands which can oftentimes become totally exhausting on the part of the woman. Your lingerie nights would eventually become pajama and huge shirt nights. When your nausea is at its peak, you’ll definitely love to sleep all day rather than go out on a date. You’ll get worried about a lot of things — your body, the upcoming labor and delivery, and your soon-to-be baby, such that you might forget to ask about, “How’s your day at work?” or “Did you enjoy our dinner?” Most pregnant women also tend to become more “clingy” to their partners and may demand more attention and care than before. On the other hand, most men seem to find their partners more attractive during their pregnancy days. The pregnancy hormones seem to work well in increasing your bust-size and offer you an extra glow. He’ll caress you and will want to get more intimate. Then suddenly, you are already snoring. He might have the thought that you don’t want him anymore and you even forget to ask about his day or his concerns. He might also think of that “clingy” attitude as a paranoia, since you are calling every hour, as if you’re stalking him, ask about his whereabouts and when he will go home. The above situations may lead to a wider gap between you and your partner. Intimacy is the foundation of every relationship and if you want to overcome these struggles, you’ll have to talk to each other. Discuss these things openly and find out ways on how you can compromise so as to meet each other’s needs. If you are not feeling well right now, then tell him in a nice manner. He is sure to understand. You must, however, make it up to him during your well days. Take these things lightly. Treat your sleepiness and snore episodes as a joke you can both laugh at. Anyway, these relationship adjustments are just temporary, and as soon as you recover from your pregnancy-related issues, you will go back to how things used to be. Financial matters are a major cause of arguments in couples preparing for pregnancy and the upcoming delivery. The mom-to-be loves shopping around a lot for cute baby stuff, while the dad-to-be wants to save more and spend less. The choice of the hospital where you are going to deliver also has some financial constraints. The idea that there will be a new addition to the family is another issue to be considered in your monthly budget. Hence, pregnancy will have a huge impact on your expenses. However, your relationship must never be at stake. Communicating with your partner about your finances, and sticking to your approved budget plan is the key. This also helps you grow into more mature individuals. You’ll not be thinking of yourselves anymore, rather, you ought to direct your focus on the welfare and financial security of your upcoming baby. Pregnancy will shift your roles — in the household, at work, and even with your in-laws. She may find herself hooked up in the house while he might be too busy working extra hours for an extra income. You might be too overwhelmed by your in-laws’ advices, reminders or even “rules” regarding pregnancy and parenting. Nevertheless, these changes in your roles must be viewed in a positive light. At the end of the day, the major decisions about your baby, and how you will raise him/her depends on you as a couple. Always remember that the baby comes to build and strengthen your relationship. The transition towards parenthood is tough, but your baby is sure to give you light and inspiration as your family grows. As each couple is different, each couple will go through their own changes and hardships throughout pregnancy. The important thing to remember is that these changes are temporary and things will always get better. Stay strong, stay committed, and there’s nothing you both could not get through! Understanding your partner, as a man, when she is pregnant is as important as anything in the sense that one could get to learn the robes of how a pregnant woman behaves and try as much as they could to adjust things during those period. The truth of the matter is that even as we know that pregnancy is carried by the woman for 9 long months, but in reality it’s being carried by both the husband and the wife in so many ways. As long as the husband is the caring and loving type, he would particularly take over the house works and catering for the family, including take care of the demanding nature of pregnancy situations brings to the family. It’s important to note that patience is the key to having a great relationship with your pregnant wife in her condition. Pregnancy time comes with both heart ache moments and fun loving moments, when you understand that she is just being in pains nothing more, then your issues and complaints will be less. Pregnancy period is a disturbing knowing how to care for your woman, and also the lady knowing how to manage the tensions matters. From both the conception period to birth period wilk be challenging because the woman won’t want to be touched, the man tends to feel unloved both how he manages it. So true. When my wife was pregnant, we were married for three years. We were never so much intimate as when the wife was pregnant. Money was also the primary topic for discussion. My wife always reminded me to save even when I was buying her food, she said, I should never spend more than what is required. Roles changed. I became a cook and washerman.